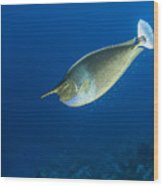 Unicorn Fish by Roy Pedersen. 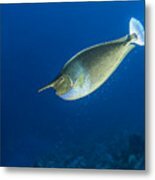 It's easy to see how the fish got its name. 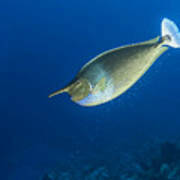 It belongs to the family of Surgeonfish so called due to the sharp scapel like blades near the tail.The original photograph was taken while scuba diving in the Red Sea,Egypt.